The University of Genoa, in collaboration with CLUSIT The Italian Association for Computer Security), is proud to organize the “2017 Workshop on Hot Topics in Computer Security”. The event is organized within the framework of the European Cyber Security Month (ECSM). Time: From 2:00 p.m. to 5:00 p.m. Location: DIBRIS - room 326bis, Via Dodecaneso 35, 16146, Genova. Abstract: Information hiding techniques are increasingly used by malware to hide itsexistence and communication attempts. Investigating how covert channels can empower malicious software is essential to fully understand the cybersecurity panorama. 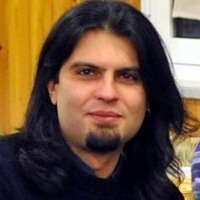 This talk introduces the use of information hiding in modern threats by investigating two different perspectives, specifically: i) how to detect a local covert channel used by colluding applications to bypass the security framework of mobile devices and ii) possible ideas for creating network covert channels for communicating with a remote command & control facility. Abstract: Phishing is a quick, reliable and cost-efficient way of hacking humans. Since human evolution goes way slower than common beliefs, exploiting software through people, rather than just exploiting software, is convenient. 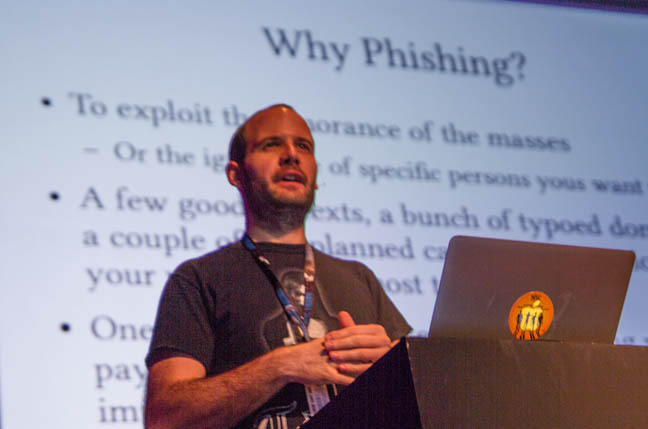 This talk will discuss phishing techniques from an offensive security perspective. There will not be pie charts.